On Wednesday, June 18, Mohammad AlQadi woke up to a barrage of inquiries from friends abroad. “Israeli friends who work for peace asked why I support the kidnapping of three Israelis in Palestine, and I was surprised to see my photos used in a campaign of hate,” he explained. Wearing a kaffiyeh and holding up three fingers, AlQadi’s image was one in a long line of photos of Palestinians, mostly children, holding up three fingers to support the abduction on June 12 of Naftali Fraenkel (16, from Nof Ayalon); Gil-Ad Shaer (16, from Talmon); and Eyal Yifrah (19, from Elad). The problem: AlQadi had taken that photo over a year ago, in support of a Palestinian singer from Gaza competing in Arab Idol – whose voting number was three. The conclusion of the search for the kidnapped boys ended in tragedy on June 29, as their bodies were discovered near the West Bank town of Halhoul. In the fraught and tense 18 days preceding, social media played a key role in shaping public opinion as events unfolded. From the very beginning, activists took to Facebook and Twitter to raise awareness and the campaign became central to how it was covered in local and international media. AlQadi himself took to Twitter to clear up the photo appropriation: “supporting @MohammadAssaf89 1 year ago now @ynet says im with kidnapping #bringbackourboys [sic].” The Jenin native has 120,000 followers on Twitter, is active on Facebook and has been involved in grassroots peace groups like One Voice and YaLa – Young Leaders that advocate a two-state solution. “I had spent five years working for peace and ending the occupation, but I don’t believe in violence,” he says over the phone from France, where he now lives, preparing for an ascent of Mount Everest next year where he hopes to raise awareness of the Palestinian cause. Despite his discomfort with the use of the photo, AlQadi used his social media influence to join those who were framing the kidnapping issue to highlight the Palestinian cause. “196 Palestinian children imprisoned by Israeli military,” he retweeted, “they [the three kidnapped Israeli yeshiva students] are not kids they are soldiers at #idf and we don’t kidnapped them we arrested them coz they are #illegal in westbank [sic],” he wrote on June 14. In Arabic, he told his followers to use the pro-Israeli #BringBackOurBoys hashtag and flood it with Palestinian information. Indeed, the IDF social media gurus were in the thick of it, tweeting and retweeting. One soldier compared it to a war, with 2,500 tweets an hour relating to just this single hashtag. (The “hashtag,” once known only as the number sign, was created as a web classification system to help make it easier to find related content. ) In this conflict, everyone from the media to the armed forces was clearly focused on social media as a deciding factor, particularly on select outlets like Twitter and Facebook. It is important to understand how activists, NGOs, public diplomacy professionals and the media are being driven by, and are drivers of, this medium. Media expert Marshall McLuhan argued in his seminal 1964 work Understanding Media that “the medium is the message,” an incisive, if complicated view that “the personal and social consequences of any medium – that is, of any extension of ourselves – result from the new scale that is introduced into our affairs by each extension of ourselves, or by any new technology.” New inventions change the scale, pace and pattern of messages, he explained. In that sense, each conflict has brought with it new revolutions in media and how the public is informed. The US Civil War saw the first use of the camera; the muck of the trenches of World War I was censored so as not to shock the British masses; public opinion on Vietnam was deeply affected by live TV reports; and CNN’s coverage of the Gulf War was remarkable for showing actual strikes on enemy positions by missiles. With the advent of Facebook in 2004 (reaching 1 billion users in October 2012) and Twitter in 2006, the social media landscape was revolutionized – and so was the media. Recent reports suggest that social media is driving jihadists in China’s Xinjiang province, and that it is a prime tool of the Islamic State of Iraq and Syria (ISIS) in its conquest of parts of Iraq. This is particularly true in the Israeli-Palestinian conflict. 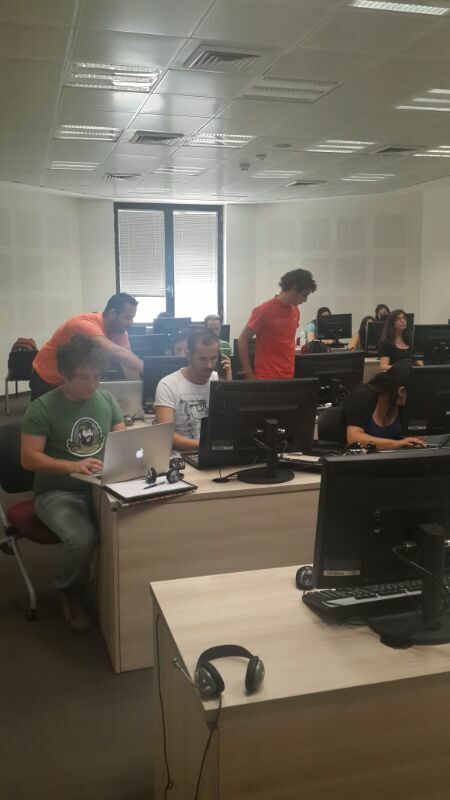 At the Hebrew University of Jerusalem on Mount Scopus, as news of the kidnappings took hold, a team of volunteers gathered in a computer classroom. 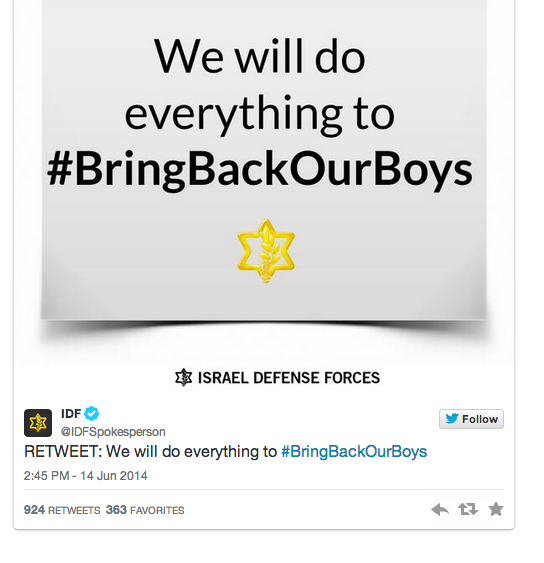 Led by veteran online activists who were students during November 2012’s Operation Pillar of Defense, they began to man an on-campus “situation room,” tweeting and Facebooking furiously with a new hashtag to connect all their posts: #BringBackOurBoys. Ilana Sherrington, the head of the campaign, explained how it all works. “We have heads of different languages – in Russian, English, Spanish – and they were in charge of volunteers in those languages,” she said. Tasks are then delegated for a specific social media outlet, like Facebook, Twitter or Instagram. Sherrington and her team develop goals, tasks and missions that are issued to the requisite heads, working in coordination with graphic artists, and the end result acts as a certain type of foreign press. This smoothly oiled operation involves dozens of volunteer activists. Sherrington is a former first lieutenant who at one point was in charge of the welfare of 1,800 artillery soldiers. Today, she wants to revolutionize how the world relates to the kidnappings. She says she doesn’t work with any governmental body, and that the work of her volunteers isn’t political but “universal” in its message. Her volunteer activists are trained in using social media and include mothers, teachers and students. Sherrington said that what made the social media campaign for Operation Pillar of Defense so successful was stripping the message of political connotations. Like Sherrington. he emphasized that the students are not speaking for the government: “This study is an academic discipline.” But whereas the course of study is academic, the alumni and volunteer students who work on this specific campaign are obviously involved in a very Israeli issue. Gurevich accepted this, saying, “Ambassadors Online is a Zionist program. The president of the University Haifa said it very clearly: We are a Zionist university; inside the Zionist spectrum there is a wide range of opinions.” The interaction between NGOs, volunteer networks, university courses, the Israeli government and the IDF is a unique case of what appears to be a well-oiled, rapid-response network that has been phenomenally successful at building support, branding and packaging a human tragedy into a viral social media event. In his view, as well as that of others who spoke on the condition of anonymity, the mismanagement of this issue was highlighted by the appointment of a public diplomacy and Diaspora affairs minister in 2009, a position held by current Knesset speaker Yuli Edelstein until 2013. The disconnect in effective agenda-setting affected Israel’s responses to the Mavi Marmara raid in May 2010, as well as Operation Pillar of Defense. 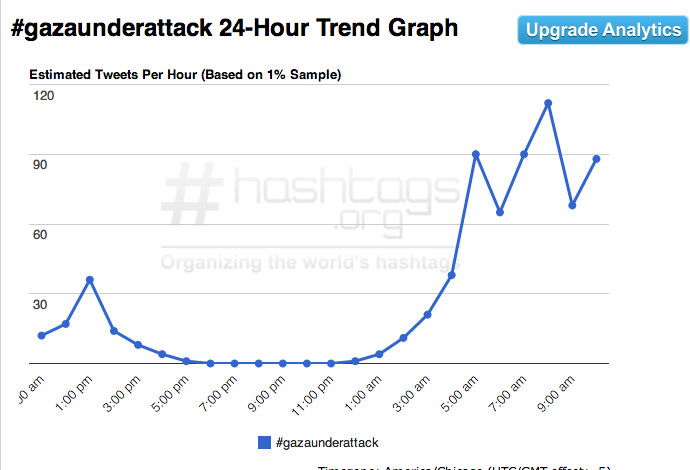 Although Pillar of Defense was seen as having an innovative social media campaign – in which the hashtag #israelunderfire was inaugurated, and the war was actually first announced on Twitter – a final analysis by Ben-Gurion University researchers Erez Cohen and Tomer Simon concluded that the pro-Palestinian #gazaunderattack hastag got more attention. Moreover, in April 2013, The Jerusalem Post’s Herb Keinon wrote that the Public Diplomacy Ministry unceremoniously faded away and “in its stead, the Ministry of Jerusalem and Diaspora Affairs, to be headed by Economy and Trade Minister Naftali Bennett,” was created. The former ministry “is no more,” Keinon wrote. He paused, then noted, “It was, for the first time, the message of the people of Israel [that] was broadcast, and the international community saw that we have something to say.” But it isn’t a one-way street. Israel’s image is improving, but Seaman emphasized that any incident can be a major setback – such as the 2006 Qana air strike in which 28 people were killed, referred to as a “massacre” by international groups and the Lebanese. “There is a time clock on Israel’s ability to defend itself, even if the initial view was that Israel is being attacked, which permits Israel to take actions in self-defense,” he explained. In this sense, he argued that social media can have a negative strategic effect on Israel’s operational abilities, and combating that threat online is a way of prolonging Israel’s ability to maneuver on the battlefield. A major innovation took place by shifting the power from government spokesmen, previously seen as incompetent, to average people. “This was a huge change because previously the media had not been challenged, and they have a big effect on their ability to get their messages out there. It raises the power of the average people. In 2014, the differing role of government organs has been on display. The IDF Spokesman’s Office, which has traditionally been a center of attention, concentrated on individuals giving statements. The office has become more savvy, using the hashtags and also communicating with various hashtags to promote a message that can be easily shared; creating YouTube videos and graphics that can be distributed without the IDF logo, so they appear as if they come from individuals. 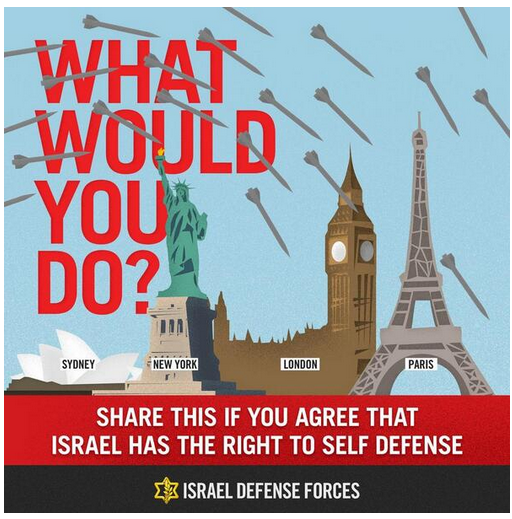 For instance, on June 26, the IDF Spokesman’s Twitter uploaded a graphic of a white doorknob, asking, “What if instead of sleeping in their beds, your children were being held by TERRORISTS? #EyalGiladNaftali.” The army increasingly uses this latter hashtag because of the realization that #BringBackOurBoys is being used by Palestinians. She argued that it is important for Palestinians to use social media to spread their message around the world. “It has helped Palestinians in some ways, by sharing their stories and suffering. But this doesn’t mean that social media didn’t also harm Palestinians, when people share fake things about them and try to make them look like terrorists. “I think Palestinians are good at using social media to raise attention to themselves and their struggle. I think in the last decade, the international community is paying more attention to what is going on, and they are starting to learn more and more about the occupation and are spreading the message.” She points to Electronicintifada.net and bdsmovement.net as popular sites that showcase the Palestinian side. Social media helps Palestinians because it is about people-to-people connections. “If they are trying to reach normal people through social media, they would rather look at what normal people post than hear it from the news, and I think the majority trusts the normal people. For example, in BDS [Boycott, Divestment and Sanctions], the main cause is because of social media; they have been doing very well about informing the public everywhere. It isn’t just emails anymore and the sympathy; you just put it on the daily activity stream online and they get involved. “The Palestinian side will be gaining momentum on social media, and sympathy from abroad.” Nawawi also saw a bifurcation between English and Arabic – Arabic can be used just for one’s close circle of friends, but through English people can reach the whole world. Social media is a strength that is changing the message through medium. “We don’t have official websites; we are just activists tweeting from the ground. We are not organized, but now there are a lot of pages on Twitter.” He was one of the central figures in encouraging Palestinians to post with #Bring- BackOurBoys and show images of Palestinian youth being arrested or mention Palestinian children in Israeli administrative detention. One of the more prolific Palestinian sites is Electronic Intifada (49,000 Twitter followers) and its co-founder Ali Abunimah (43,000 followers). Abunimah, who did not respond to requests for an interview, wrote in The Battle for Justice in Palestine, published in March, that “Palestinians are winning the argument and Zionists are losing it.” He described that while in the old days support for Palestinians came from “periodic street demonstrations,” today a “global solidarity movement” is coalescing – and the online community is integral to that. Although some Palestinian online users, such as Palestine Social (28,000), Palestine News (77,000), Palestine Today (38,000) and Hamas (54,000), enjoy high levels of followers, they seem equally matched by pro-Israel groups and individuals – such as Stand- WithUs (26,000), Daroff (27,000), the IDF (248,000) and The Israel Project (17,000). The Arabic-language IDF spokesman Avichay Adraee has 424,000 likes on Facebook, where he is most active, while Palestine TV has 773,000 likes. From discussions with Palestinians, it is clear that although there is a perception that social media has revolutionized the ability to tell individual stories, the Israeli media is viewed as dominant and influencing world opinion. For instance, even though many Arabic-language Palestinian websites showed photos of rooms being rifled through, furniture destroyed and Israeli soldiers in people’s houses during raids in late June, none of this was making it through to The New York Times or other major media. In fact, Times lead reporter Jodi Rudoren was being accused by Palestinians and some on the Left of being “embedded” with Israeli soldiers, after penning an article about Beduin IDF soldiers employed in the operation. Furthermore, Palestinians felt the Palestinian Authority was not “on-message” in this conflict. This led some people to post articles or graphics condemning PA President Mahmoud Abbas for “collaborating” with Israel; one showed him toting an M-16 and wearing a tallit. Journalists are increasingly aware of the need to respond to social media. Not only do many reporters respond on Twitter to complaints about their reporting, but they actively get their information from these Twitter and Facebook campaigns. The way in which #BringBackOurBoys became the center of the media story is clear from this. Numerous articles at BBC,The Washington Post, and elsewhere examined the trend, rather than just reporting the story. The debate about the hashtag and the way Palestinians and Israelis were competing over it, as well as the misuse of AlQadi’s photo, became a media sensation. Daroff, who was in Jerusalem for a media summit, is cognizant of this: “I started tweeting in earnest during the Second Lebanon War. I saw it as a means of connecting really quickly with Jewish leaders and pro-Israel advocates across the world, as a means of seeing reliable and timely information.” The world went from being a few degrees of separation away, to “no degrees.” He noted how old methods of messaging connect with the new. There are billboards and ribbons and buses with #BringBackOurBoys emblazoned on them, and “yesterday, I tweeted a bus billboard in Jerusalem with a hashtag.” In this sense, new media is merging with the old method of communicating, with a photo of the old repackaged as the new.